All of these trucks are ready and waiting for your order, let’s put them to work. Please note: amounts may vary depending on material weight. Our homeowner special! 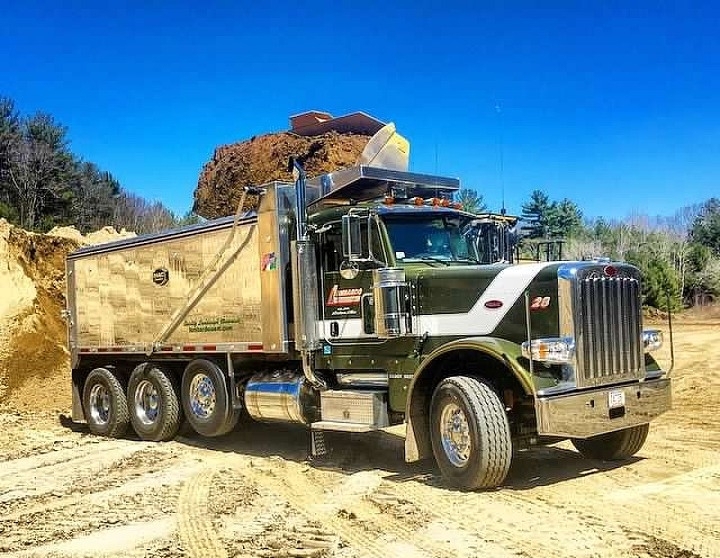 This custom one-ton dump truck has an overall width of 8 feet and a raised dump body height of 14 feet. This truck can maneuver just about anywhere and is used for deliveries between 1 and 10 yards of mulch or 1 and 4 yards of loam. The boss’s favorite. This 6-wheel dump truck is great for medium-size deliveries between 6 and 10 yards of loam or mulch. Mr. Ten Wheeler. Our 10-wheel dump truck is used for up to 22 yards of material. What a beauty #28 is! New to our fleet in 2016, this bad boy is a favorite for the larger jobs, supplying our landscapers and builders with everything they need. Our boys love their BIG toys! 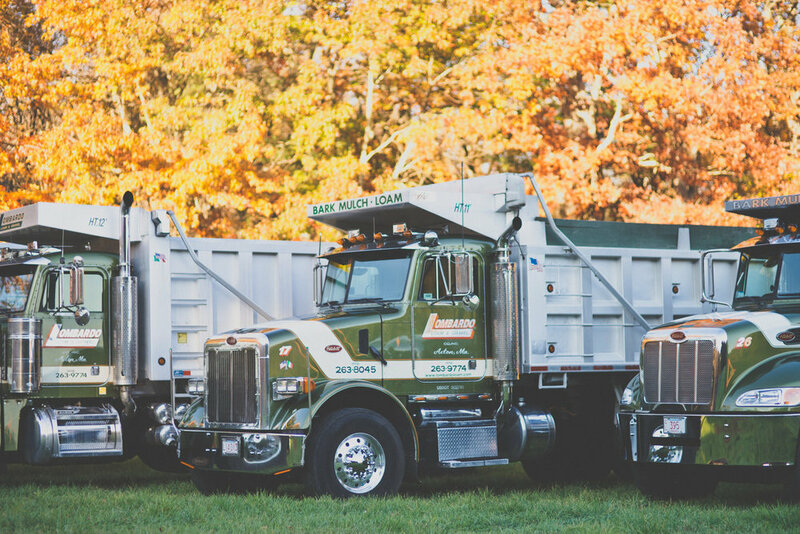 We have several tractor trailers we use to haul large quantities of materials to and from major commercial projects.